On December 23, 2015, at 10 AM Taiwan time, Legislative Yuan KMT Party Division called a press conference and requested DPP Chairwoman Ms. Tsai to please explain whether she was involved in Neihu phase six city redistrict land trading. The committee members are Senator Tsai Chengyuan, former legislator Chiu Yee, and Lawyer Huang Shiyang. Former ROC in Taiwan legislator Mr. Chiu Yi, an honest, articulate man, is Taiwan's talisman, with his altruism in disclosing high crimes. He was responsible for sending former ROC President DPP Chairman Chen ShuiBian to Tucheng Jail, likewise, Tsai Ing-wen also will be scrutinized and sent to the Tucheng Detention Center. Mr. Chiu Yi stated that it has been Taiwan's legal practice for over 100 years that one must be present with a personal signature to register land deeds when purchase land. It was not done through an escrow. So this is a 33 year old with her signature in purchasing city government redistricting land, since her signature is on the land deeds. This is to counter the argument that it may be a grey area that her father bought the land for her without her knowing. Taipei Mayor Ko Wen-je recently spoke up for Tsai in a Taipei Times article to mislead English readers and to help Tsai’s tarnished image. In her defense, incumbent Taipei Mayor Dr. Ke left people the impression that as his father bought land in Hsinchu, so that he could build a hospital, this might have been the case with Tsai, but that is not true. The evidence clearly indicates Tsai’s signature. In addition, the Tsai family coerced the government officials to give leeway on redistricting rules and holding time duration regulations by having their own assemblymen silencing those who disagreed. Gang fights in negotiations with city officials is the practice of Tsai family. Once Tsai family got hold of 15 parcels of Neihu redistrict phase six land, they demanded the city to rewrite the rules and wanted Tsai’s private management for their own holding so that they could reduce the required holding time and sell for astronomical profit. Ms. Tsai cultivates the idea of her way or the highway, together with gangsters and their assemblymen in usurping the government’s capability to regulate. Hence, price gouging went rampant, land was bought at a super low discount and sold with 20X profit. 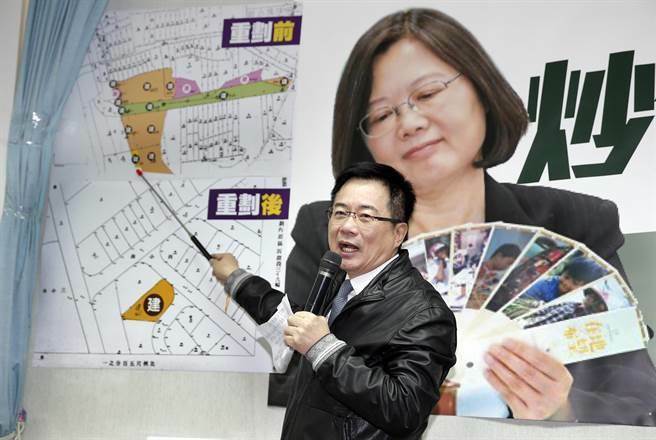 Sometimes the Tsai family obtained three out of four available government bids for land. This indicates there is an insider helping them out. With the Tsai family hotel chain, some of the land was approved when she was serving as Executive Yuan Vice Chief and Lu Wei Mainland Committee Chairwoman under the Chen ShuiBian Administration 2000-2008, and was National Security Economic Counselor during the Lee Tenghui Administration 1988-2000. To note: Ms Tsai always states that she wants justice to let young people to own homes, but she is the most advanced land amassed profiteer. She probably swears to take over all the KMT party land for her own. Despite she has the ambition to own Taiwan, she still sent out piggy banks to ask poor people to donate to her campaign. This time around it is less effective because of the revelations of her practice in land speculation. 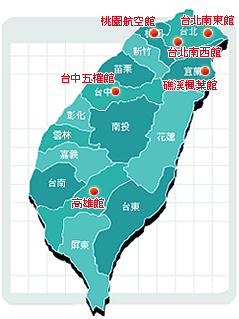 In Hsinchu out of 8000 piggy banks, only 300 were returned and Tainan 1000 sent out, 400 returned. The fact of the matter is that right after President Chiang Ching Kuo died in January 1988, Tsai family wasted no time and started to grab up land in March. This happened under the administration of DPP cohort, the successor Lee Tenghui who posed as a KMT party Chairman and Republic of China President, but with a true identity as a Japanese policeman's son who held deep hatred against the KMT who recovered Taiwan from Japan. This is the tragedy not only for the Republic of China and her loving people, but for some people whose dictionary has no love but hate in the cold annihilating heart to violate human rights of us who don't speak Taiwanese (referred by the bitter extremist Taiwanese as Chinese pigs), though we recovered Taiwan from Japan colonialists after 50 years with 3 million military sacrificed. The hidden motivation for her to decimate the KMT is to rob the KMT's land, after the Taiwan locals have received land bonanza from the government in the 1950's, while controlling the very poor landless people and pit them against the KMT so they can take over. The evidence speaks loudly that she is an adroit land profiteer, while she poses as a great crusader for social living justice for young people to afford to own land. Her mother was her father's fourth concubine who was serving wine to Japanese in a Beitou bath house. She has no right to claim that the KMT is corrupt and she can purify the country, as her own track history is filled with shady land deals. She has misguided Taiwan innocent young and old just like her predecessor Chen Shuibian. But like him, she will eventually have to face justice.